Objective To evaluate the economic impact of the routine US childhood immunization schedule: diphtheria and tetanus toxoids and acellular pertussis; tetanus and diphtheria toxoids; Haemophilus influenzae type b conjugate; inactivated poliovirus; measles, mumps, and rubella; hepatitis B; and varicella vaccines. Design Decision tree–based analysis was conducted using population-based vaccination coverage, published vaccine efficacies, historical data on disease incidence before vaccination, and disease incidence reported for 1995-2001. Costs were estimated using the direct cost and societal (direct and indirect costs) perspectives. Program costs included vaccine, administration, vaccine-associated adverse events, and parent travel and time lost. All costs were inflated to 2001 US dollars, and all costs and benefits in the future were discounted at a 3% annual rate. Participants A hypothetical 2001 US birth cohort of 3 803 295 infants was followed up from birth through death. Main Outcome Measures Net present value (net savings) and benefit-cost ratios of routine immunization. Results Routine childhood immunization with the 7 vaccines was cost saving from the direct cost and societal perspectives, with net savings of $9.9 billion and $43.3 billion, respectively. Without routine vaccination, direct and societal costs of diphtheria, tetanus, pertussis, H influenzae type b, poliomyelitis, measles, mumps, rubella, congenital rubella syndrome, hepatitis B, and varicella would be $12.3 billion and $46.6 billion, respectively. Direct and societal costs for the vaccination program were an estimated $2.3 billion and $2.8 billion, respectively. Direct and societal benefit-cost ratios for routine childhood vaccination were 5.3 and 16.5, respectively. Conclusion Regardless of the perspective, the current routine childhood immunization schedule results in substantial cost savings. Numerous studies1-33 have demonstrated the cost savings of childhood vaccination in the United States. However, in most cases, studies focused on single vaccines, and widely different methods and assumptions were used, which prevents adequate comparisons. To date, we know of no study that has examined the benefits and costs of the routine childhood immunization schedule using consistent methods and assumptions. Some of the economic studies still being cited as evidence that older vaccines result in net savings are now more than 20 years old. The prices of these vaccines, their formulations and uses, and the cost of medical care for the diseases they prevent have changed across the years; for example, 2 doses of measles, mumps, and rubella (MMR) vaccine are now recommended; inactivated poliovirus (IPV) vaccine has replaced oral poliovirus vaccine; and acellular pertussis vaccine has replaced whole-cell pertussis vaccine. Given that immunization is a cornerstone of preventive health care for children and that US vaccine financing mechanisms are still less than perfect, an updated and comprehensive economic evaluation is important and useful for making future policy decisions regarding childhood vaccination. We applied a decision analysis model using population-based surveillance of diseases, published vaccine efficacies, historical data on disease incidence before vaccination, and disease incidence reported around 1995-2001, along with the available estimates of current costs of treating diseases and complications and administering vaccines. The objective of this study was to provide a comprehensive economic evaluation of routine childhood immunization with diphtheria and tetanus toxoids and acellular pertussis (DTaP); tetanus and diphtheria toxoids (Td); Hib conjugate; IPV; MMR; hepatitis B (HB); and varicella vaccines in the United States, addressing current costs and benefits. Although recommended for routine immunization, pneumococcal conjugate and influenza vaccines are not included in this study because they are not yet fully implemented (ie, they are relatively newly recommended by the Advisory Committee on Immunization Practices). We developed a decision tree as the basis for our model (Figure 1) and then evaluated the effect of routine childhood vaccination with DTaP, Td, Hib, IPV, MMR, HB, and varicella vaccines on a hypothetical US birth cohort of 3 803 295 children (the estimated number of births in 2001 [http://www.census.gov/population/projections/nation/detail/p2001_10.a]) from birth through death. The Centers for Disease Control and Prevention (CDC) Advisory Committee on Immunization Practices routinely recommends 5 doses of DTaP,46 3 or 4 doses of Hib,47 4 doses of IPV,40 2 doses of MMR,48 3 doses of HB,49 and 1 dose of varicella vaccine.44 Additional booster doses of Td are required every 10 years, and the first booster dose may be given at 11 to 12 years of age.39 Our analysis is based on coverage attained in the United States as estimated by the 2000 National Immunization Survey, the 1999 National Health Interview Survey, and the 2000-2001 School and Childcare Vaccination Surveys. We calculated net present values (NPVs) and benefit-cost ratios (BCRs) for all 7 vaccines together. The analyses were performed from 2 perspectives: direct cost (direct medical and nonmedical costs) and societal (direct and indirect costs). All costs were inflated to 2001 dollars, and all costs and benefits in the future were discounted at a 3% annual rate for the base case analysis. The data used in this analysis were compiled from a variety of sources: the published literature, including surveillance data, study data, and expert consensus; several large, computerized data sets; and CDC unpublished data. When it was necessary to make estimates about the incidence of disease and complications from multiple publications, results from existing meta-analyses were used as the estimates if possible. Otherwise, conservative assumptions were made, thereby intentionally underestimating the benefits of vaccination. For all diseases except varicella and HB, we used surveillance data from the National Notifiable Diseases Surveillance System to estimate the burden of diseases with vaccination in 2001. Incidence data were averaged for the 6 years from 1995 through 2000. For varicella, because it is not a nationally notifiable disease, we used the average incidence for the 2 sites (Antelope Valley, Calif, and West Philadelphia, Pa) in the Varicella Active Surveillance Project36 during 2000 to estimate the total number of varicella cases in the United States. We assumed that 20.9% of these cases involved persons who had previously received varicella vaccine and that these were thus much milder than cases among unvaccinated persons. For HB, because acute cases were underreported and chronic cases were not reported to the National Notifiable Diseases Surveillance System, we decided to use an established decision tree model26 and the efficacy of the vaccine84 to estimate the likelihood of HB infection and sequelae in vaccinated and unvaccinated children in the cohort. Our model estimated the productivity losses due to premature mortality and the indirect costs from permanent disability as well as opportunity costs associated with caregivers who missed work to care for their sick children or patients themselves for missed work. To estimate the productivity losses from premature mortality, we used the human capital approach.95 Costs for work loss were determined by the number of days of missed work (for the illness, for a resulting disability, or for the provision of care to sick children) multiplied by the daily wage rate associated with the value of lost wage-earning work and the imputed value of housekeeping and home care activities. Appropriate values, taken from published studies,95 the Bureau of Labor Statistics, and the Bureau of the Census, were applied for the general working population and for parents who missed work to care for their sick children. We assumed that the days of morbidity were distributed randomly throughout the week. Routine childhood vaccines are purchased with public and private funds. The distribution of publicly purchased vs privately purchased vaccines was derived from the CDC Vaccine Management database and from voluntary manufacturer reports to the CDC. Overall, approximately 55% of all US childhood vaccines were publicly purchased in 2001. The public and private prices for all vaccines were obtained from the CDC Vaccine Price List in 2001. We assumed that the average total cost to distribute (transport from the manufacturer to the site where administered) a dose of public vaccine was $0.68 and that the overall rate of vaccine wastage (public and private sectors) was 12%.10,22 The federal excise tax that supports the National Vaccine Injury Compensation Program (http://www.hrsa.gov/osp/vicp) was included in all vaccine prices. We used the same assumptions as previous economic studies,10,22 and we assumed that the cost of caregiver travel to the clinic was $3.50 and that 2 hours away from work was needed to take the child for vaccination. We assumed that the average cost for these caregivers was $8.50 per hour. We calculated the indirect caregiver costs using the estimate of the average number of vaccination visits for each child derived from National Immunization Survey, National Health Interview Survey, and School and Childcare Vaccination Surveys data. We assumed that there were a mean of 7.8 vaccination visits for each child by age 12 years. 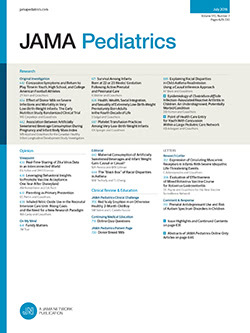 Vaccination coverage rates by age and number of doses administered were estimated for children in the cohort aged 1 to 3 years using 2000 National Immunization Survey data and aged 4 to 6 years using 1999 National Health Interview Survey and 2000-2001 School and Childcare Vaccination Surveys data. By 19 to 35 months of age, 94.1% of the children had received 3 or more doses of DTaP vaccine, 93.4% had received 3 or more doses of Hib vaccine, 89.5% had received 3 or more doses of poliomyelitis vaccine, 90.5% had received 1 or more doses of MMR vaccine, 90.3% had received 3 or more doses of HB vaccine, and 67.8% had received 1 or more doses of varicella vaccine.96 By 6 years of age, 95% of the children had received 3 or more doses of DTaP vaccine, 94% had received 3 or more doses of Hib vaccine, 94% had received 3 or more doses of poliomyelitis vaccine, 95% had received 1 or more doses of MMR vaccine, and 93% had received 3 or more doses of HB vaccine. For varicella, we assumed that in a fully implemented program, 93% of the children would receive 1 or more doses of varicella vaccine. The frequency and cost of care for adverse events associated with each of the vaccines is summarized in Table 3.
where Bt and Ct are the benefits and costs, respectively, in year t; T is the life expectancy; and r is the annual discount rate. Sensitivity analyses were used to assess the robustness of the economic estimates and to estimate the impact of potential changes to the vaccination program. Univariate sensitivity analyses were performed to assess the effect of varying (1) the rates of adverse events; (2) the postvaccination disease incidence rates; (3) the total direct and indirect costs without vaccination; (4) the proportion of vaccines purchased in the public vs private sector; (5) the vaccine administration costs; (6) the vaccine wastage rate; (7) the inclusion of federal, state, and local vaccination program management expenditures; (8) the costs associated with parent travel and time lost; and (9) the discount rate. Each new variable was introduced by itself in the sensitivity analyses. We also performed the worst-case scenario analysis: the combination of the worst case of items 1 to 7. Table 4 summarizes the expected diphtheria, tetanus, pertussis, Hib, poliomyelitis, measles, mumps, rubella, congenital rubella syndrome, HBV, and varicella cases and deaths, as well as the associated economic burden with and without a vaccination program. Without a routine childhood vaccination program, the model estimated that in a cohort of 3 803 295 children, approximately 14.3 million cases of these diseases would occur, resulting in 33 564 deaths. These cases would result in direct costs of $12.3 billion and societal costs of $46.6 billion. Disease-associated costs with vaccination were $0.1 billion and $0.5 billion, respectively. The direct and societal costs of the routine childhood vaccination program with DTaP, Td, Hib, IPV, MMR, HB, and varicella vaccines were estimated to be $2.3 billion and $2.8 billion, respectively (Table 5). The calculated NPVs (net savings) of the routine childhood vaccination program from the direct cost and societal perspectives were $9.9 billion and $43.3 billion, respectively. The direct and societal BCRs for the routine vaccination program were 5.3 and 16.5, respectively. Table 6 gives the direct and societal BCRs after sensitivity analysis, and Figure 2 shows the related tornado graph for the societal BCRs. When we doubled the adverse events rate used in the base case analysis, the direct and societal BCRs became 5.2 and 16.3, respectively. To evaluate the extent to which underestimation of disease incidence in the postvaccination era may have affected our analysis, we ran the model using postvaccination diphtheria, tetanus, pertussis, measles, mumps, and rubella rates that were 1000% of the rates in the base case analysis. The direct and societal BCRs did not change substantially. The incidences, costs, and patterns of treatment of some diseases likely have changed across time even without vaccination. For the worse-case scenario, if the total direct and indirect costs without vaccination were reduced by 20%, the related direct and societal BCRs became 4.2 and 13.2, respectively. If 100% of these 7 vaccines were purchased at private sector prices and administered by the private sector, the total direct and societal vaccination program costs increased to $2.8 billion and $3.3 billion, and the related direct and societal BCRs became 4.3 and 13.8, respectively. If the administration costs in the public and private sectors were doubled, the related direct and societal BCRs became 3.7 and 12.3, respectively. With a lower or higher wastage rate, the BCRs changed only slightly. When federal, state, and local vaccination program management expenditures (approximately $700 million based on estimated costs for 2001 and including section 317 of the Public Health Services Act, Vaccines for Children program, state and local funds, and part of the National Vaccine Injury Compensation Fund, which covered the vaccines administered before October 1, 1988) were included, the direct and societal BCRs were 4.1 and 13.2, respectively. In the worst case, which included all the worse-case scenarios mentioned previously herein, the related direct and societal BCRs were 1.8 and 6.5, respectively. Sensitivity analysis: societal benefit-cost ratios (baseline = 16.5). If we assumed no costs associated with parent travel and time lost (because most routine vaccination occurs during well-child care visits at which other services are delivered), the related direct and societal BCRs were 5.5 and 20.8, respectively. Finally, with higher discount rates (ie, 8%), the direct BCR decreased slightly and the societal BCR (6.1 for 8%) decreased by two thirds from the base case. The results of this study show that for the 2001 US birth cohort alone, routine childhood immunization with DTaP, Td, Hib, IPV, MMR, HB, and varicella resulted in substantial cost savings (~$10 billion and >$43 billion from the direct cost and societal perspectives, respectively) and has high BCRs: for every dollar spent, the vaccination program saves more than $5 in direct costs and approximately $11 in additional costs to society. The sensitivity analysis found the results to be most sensitive to discount rate, yet even with the worst-case scenario, the BCRs were still greater than 1. Our results remained stable across a wide range of vaccine wastage rate estimates. In recent years, approximately half of the childhood vaccines have been purchased at public sector prices through programs such as the Vaccines for Children Program and the State Child Health Insurance Program.97,98 In our sensitivity analysis, increasing the proportion of vaccines purchased by private providers did not substantially change BCRs. This finding is important because costs are higher for privately purchased and administered vaccines compared with publicly purchased and administered vaccines. The role of the private sector in administering vaccines is expected to continue to increase with insurance reform to improve vaccination coverage rates in children (ie, first dollar laws) and the increasing delivery of vaccines by managed care organizations.99 The BCRs remained high when all vaccines were purchased in the private sector, so one might conclude that there is no need for public purchase. However, this 1-way sensitivity analysis did not account for changes in immunization rates that might result from higher vaccine prices. Neither does it address equity issues associated with public purchase, such as vaccine access for the underserved and the public good of preventing infectious disease with vaccines. This study has some limitations. Some of the cost data used in the analysis may not be representative because we derived some of the cost estimates from commercial databases. Also, by not including items such as pain and suffering to the family and friends of the ill patients, our model underestimated the benefit of the immunization program. In addition, by increasing the number of physician contacts, vaccination programs introduce indirect benefits by adding new opportunities for the provision of other preventive counseling and services. Regarding varicella, the vaccination program was not mature in 2001, and 6 years after vaccine licensure, full reduction of varicella cases had not yet occurred, so our model underestimated the benefits of the fully implemented varicella program. Furthermore, regarding varicella vaccination, we made the conservative assumption that all the children received vaccine regardless of a history of chickenpox. We also did not analyze for undefined impacts of varicella vaccination on risk of herpes zoster in either vaccinees or persons with a history of chickenpox. Data on the probability distributions of variables are unavailable, which prevents us from conducting a Monte Carlo simulation for a multivariate probabilistic sensitivity analysis and estimating confidence intervals. Also, this analysis does not include hospital infection control costs and costs to the public sector, such as surveillance officers and outbreak response, and neither does it include the indirect costs of diagnostic and confirmatory laboratory testing for persons with compatible illnesses. Whereas some diagnostic testing has long been conducted for treatment purposes, the establishment of vaccination and disease control programs generally leads to substantial increases in testing, particularly for viral illnesses, such as measles or rubella. Finally, as in most economic analyses, caution should be exercised in interpreting and generalizing these results. For example, we did not include pneumococcal conjugate and influenza vaccines, and so this analysis should not be viewed as an analysis of the whole immunization program in the United States. In addition, we did not consider the future cost of disease if we stop vaccination now, and neither did we estimate the marginal cost of increasing vaccination coverage from current levels. Neither did we address the vaccine supply and demand issues and the benefits for vaccine producers. This analysis will be helpful in understanding the economic effects of the immunization program under current circumstances. Administrators and policy makers may use the results to obtain sustained support for programs, make needed modifications, and guide future programs. Overall, as the burden of disease decreases owing to the use of vaccines, this type of analysis will help ensure that society remains aware of the tremendous return on the investment in vaccines, measured not only in dollars but in health. Conversely, if the current high vaccination coverage levels are not maintained, vaccine-preventable diseases will recur along with the health burden, deaths, and costs to the medical system and society. Despite the substantial success in achieving high immunization coverage and in reducing vaccine-preventable diseases in children, challenges remain. Efforts must continue to reach 2010 goals of 90% coverage for selected vaccines and to reduce remaining socioeconomic and racial/ethnic disparities in coverage and to improve adult and adolescent immunization rates. Concerns related to the safety of vaccines can lead to declining coverage if not appropriately addressed.100 As newer and better vaccines (some of which are much more expensive) and combination vaccines become available, they will need to be incorporated into the already complex, increasingly expensive immunization system. Pertussis is the only disease for which children are routinely vaccinated that is not at historically low levels in the United States. Because the coverage among vaccine-eligible age groups remains high and the effectiveness of acellular pertussis vaccine has been demonstrated to be high in postlicensure evaluations, new strategies are needed to further reduce the incidence of pertussis. The current immunization program with these 7 vaccines is cost saving, although newer vaccines (eg, varicella and pneumococcal conjugate) have proved to be more expensive than older ones. However, future recommendations should not be limited to vaccines that demonstrate cost savings. To do so would place them at a comparative disadvantage that few other prevention interventions could meet and would likely lead to missed opportunities to provide good value to society by prevention of diseases. Because of the success of the current routine childhood vaccination program, diphtheria, tetanus, pertussis, Hib, poliomyelitis, measles, mumps, and rubella are no longer major health threats in the United States, and the threat of HB and varicella is substantially decreased. Although not reflected in this analysis and difficult to quantify, a dramatic decrease in the loss and suffering of patients, family, and friends is also a direct result of this achievement. Routine childhood vaccination against diphtheria, tetanus, pertussis, Hib, poliomyelitis, measles, mumps, rubella, HB, and varicella in the United States is a remarkable medical accomplishment that achieves significant public health benefit at a substantial cost savings. Correspondence: Fangjun Zhou, PhD, National Immunization Program, Centers for Disease Control and Prevention, 1600 Clifton Rd NE, Mailstop E-52, Atlanta, GA 30333 (faz1@cdc.gov). Disclaimer: The findings and conclusions in this report are those of the authors and do not necessarily represent the views of the Centers for Disease Control and Prevention, US Department of Health and Human Services. Acknowledgment: We thank Christine M. Arcari, PhD, MPH, Palmer Beasley, MD, John Bergstrom, PhD, Kristine M. Bisgard, DVM, MPH, James D. Cherry, MD, Patrick J. Coleman, PhD, Robert R. Deuson, PhD, MS, Donatus U. Ekwueme, PhD, Edith Gary, MT, Dalya Guris, MD, MPH, Neal Halsey, MD, Lauro S. Halstead, MD, Alan Hinman, MD, Sam Katz, MD, Robert Kim-Farley, MD, MPH, Tracy Lieu, MD, John Modlin, MD, Trudy V. Murphy, MD, Walter Orenstein, MD, Gary Don Overturf, MD, Mark Papania, MD, MPH, Susan Reef, MD, Jane Seward, MBBS, MPH, and Peter M. Strebel, MD, for their critical assistance and thoughtful review of this manuscript; and Mary McCauley, MTSC, for her assistance in manuscript preparation.